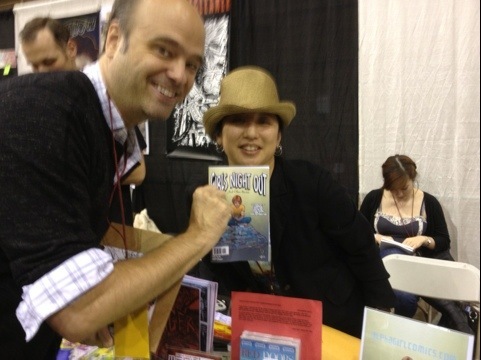 One of the highlights of this weekend at MoCCA Fest was talking and sharing comics with the incredibly nice and talented Scott Adsit who plays Pete Hornberger on 30 Rock. The Second City veteran is an avowed fan of comics and Artists Alley. He’s got three sketchbooks full of League of Extraordinary Gentleman and has been in talks with DC and Marvel about doing a one shot for one of their titles.